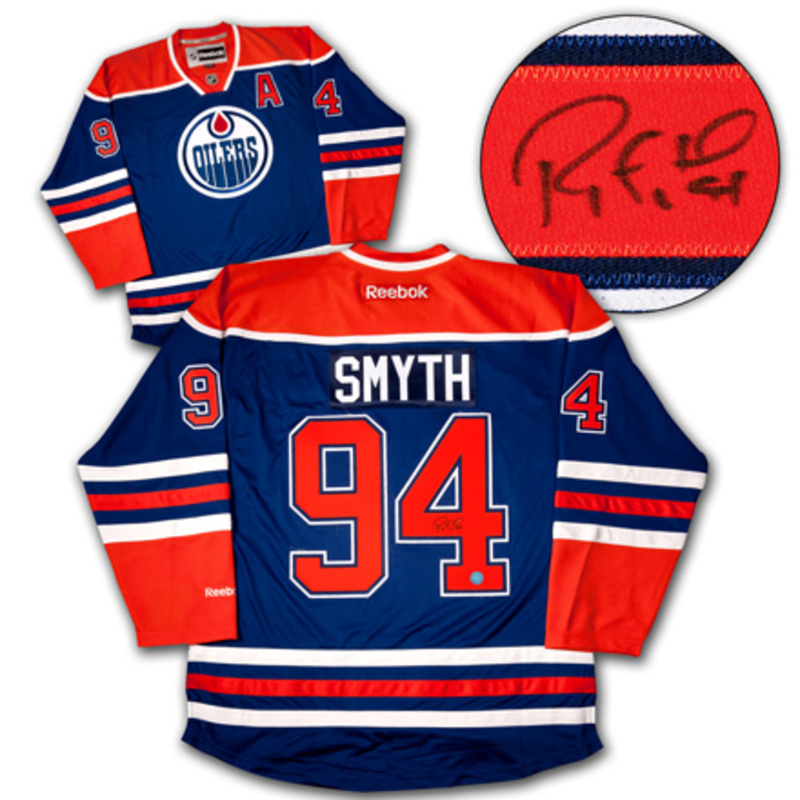 You are bidding on a fantastic Ryan Smyth Autographed Jersey. To protect your investment, a Certificate Of Authenticity from A.J. Authentic is included with your purchase. The COA has matching tamper-evident holograms and a picture of the athlete signing at one of our shows. This certificate is your assurance that the accompanying item has been personally autographed by the sports personality listed. A fantastic addition to any collection! This jersey is a size XL or L. The jersey is professionally crested with the correct team colors and fonts. We usually ship within 1 to 2 business days of receiving your payment. When combining orders the shipping date may be 4-5 days in order to use one package for multiple items. We will always send you an e-mail confirming the receipt of your payment and when the items are shipped.